The packing material unreeling structure is at the back of the machine, it is composed of unreeling shelf, film guiding roller and moving film guiding roller etc. The delivery of the packing material is realized by the motor which drive the unreeling axle to make the film roller rotate, then control the packing film delivery length and tension through the moving film guiding roller. When the film roller is used up or suddenly break, the moving film guiding roller will cover the photo electric switch to make the machine stop running automatically. On the left side of the unreeling structure, there is a handle which adjust the unreeling roller to move left and right, which help to make the packing film center and film separating structure center to be aligned. Double side color code automatic correction, automatic tracking adjustment. It will finish the following working process continuously: sachet forming, product measuring, filling, sealing, cutting, easy tear cutting, dash line cutting, batch number printing, counting etc. It is suitable for the packing of granule, sticky, half sticky and liquid product etc. This machine model is designed for high class level customer who requires for high speed and precision. The whole machine adopts full servo automatic control, the power is provided by five groups of independent servo motor, they are: product feeding, vertical sealing( vertical cutting, vertical dash line), horizontal sealing, batch number printing, horizontal cutting and horizontal dash line( optional). Adopts PLC full automatic control, the PLC software control the whole packing process through the programme logic, and input and output device. This machine has the automatic double side color code aligning, automatic tracking adjustment. The heating temperature will automatically controlled, the machine also has the automatic machine stop protection to the packing film failure and other operation failure etc. The machine is mainly composed of frame, feeding system, transmission system, packing material unreeling and separating system, performing system, conveyor, waste collecting device, electrical control system etc. The feeding is driven by a group of servo motor, which improves the filling precision. The material of the part that contacts with the product meets with GMP requirement, it adopts SS316L or other material that meets with GMP requirement. All the conner of the inner and outside hopper surface are all circular arc transition, no dead corner, no residue. The inner and outside surface are all highly polished, the inner surface roughness reaches Ra≤0.2μm. 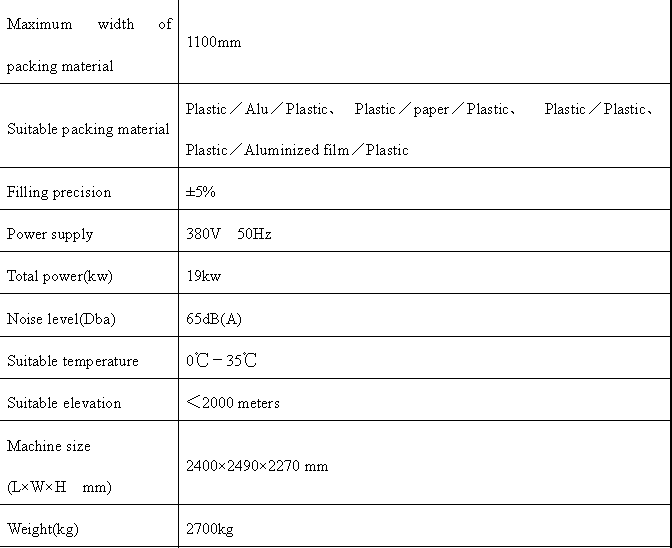 The outside surface adopts matte finishing, the roughness reaches Ra≤0.4μm. The hopper cover has the silicon sealing, the whole machine is easy and convenient to clean. Complete servo transmission, which improves the mechanical precision, reduce the labor force and enhance the productivity, also reduce the adjustment time in the machine commission or change the product kind, therefore reduce the packing material waste rate greatly. Looking for ideal Multi Line Powder Packing Machine Manufacturer & supplier ? We have a wide selection at great prices to help you get creative. All the Powder Packing Machine are quality guaranteed. We are China Origin Factory of Coffee Powder Packing Machine. If you have any question, please feel free to contact us.